All of our gas engineers are Gas Safe qualified and registered. So, you can always trust Abbey Boilers to work with your boilers, central heating system and range cookers safely. 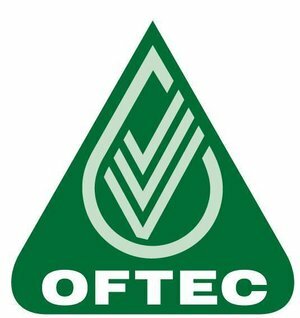 All of our oil engineers are Oftec qualified and registered. Our experienced engineers have been trained to safely work with your oil system including oil tanks and boilers. Grant is a leading force in oil-fired condensing boilers and renewable products. Winner of the Which Best Buy for Vortex Boilers for the last two years. Grundfos produce quality water pumps whilst using as little energy as possible, helping you have money on your bills! Honeywell are the leading supplier in domestic heating and combustion controls in the UK with products that include time, temperature, gas and water controls. Agas are one of the most quintessentially British items you could have in your Kitchen. Abbey Boilers can engineers install, service and repair your Aga. To find out more about how we can help you and your Aga contact us on 01403 275512 or email us on admin@abbeyboilers.com. Read our article on the 7 reasons you should have an Aga or a range cooker in your house. The Rayburn is a type of stove similar in nature to the AGA and is manufactured in Telford in the United Kingdom, at the same factory as the AGA. The Rayburn was launched in 1946 with two hotplates, and one or two ovens and the ability to heat water. These cookers can run on Gas or Oil. Vaillant UK offer a wide range of Boilers, Solar & Heat Pumps. Vaillant are the producers of the popular boiler line EcoTec. Worcester Boilers have been named the UK’s most loved boiler brand by Which for 2018. They make boilers, cylinders, boiler controls, solar water heating systems, heat pumps, and accessories. Worcester are the makers of the popular Greenstar Combi Boilers. Glow worm make good value boilers that come with a 7 year warranty. RM Cylinders offers their customers both vented and unvented cylinders.